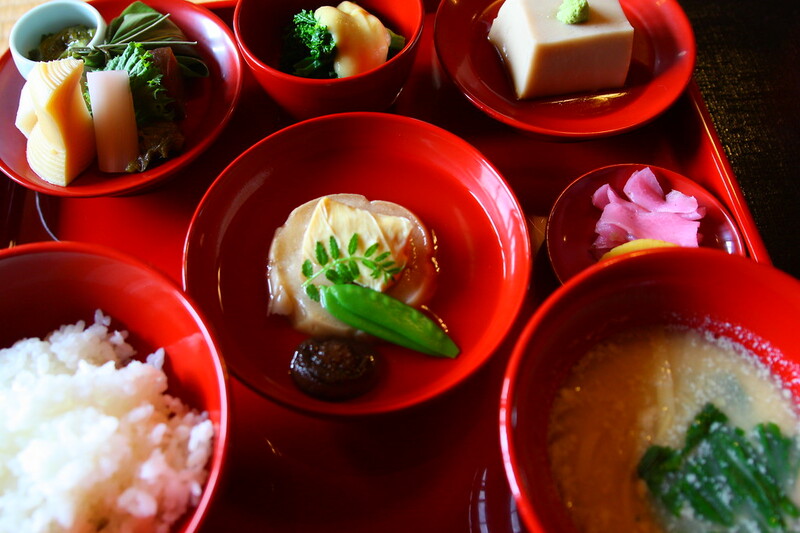 With a strong Buddhist vegetarian tradition, Kyoto has plenty of dining choices for vegans, but you’ll have to work hard to avoid fish products. Here is a list of our favorite vegan restaurants in Kyoto and some background information. Japan should be a great place for vegans. Buddhism is, in theory at least, a vegetarian and/or vegan tradition. However, Japan has always fed itself from the sea and seafood is as important to the diet as rice. One of the foundations of Japanese cooking is dashi, which is a broth made from fish. Dashi is used to make or flavor a huge range of Japanese dishes, including the miso soup that accompanies almost all Japanese meals. Thus, it takes a little effort and planning to avoid animal/fish products in your food while in Kyoto and other parts of Japan. One type of cuisine that vegans should look out for in Japan is called shojin-ryori. This is traditional Buddhist temple cooking that contains no animal products (and no garlic or strong spices). 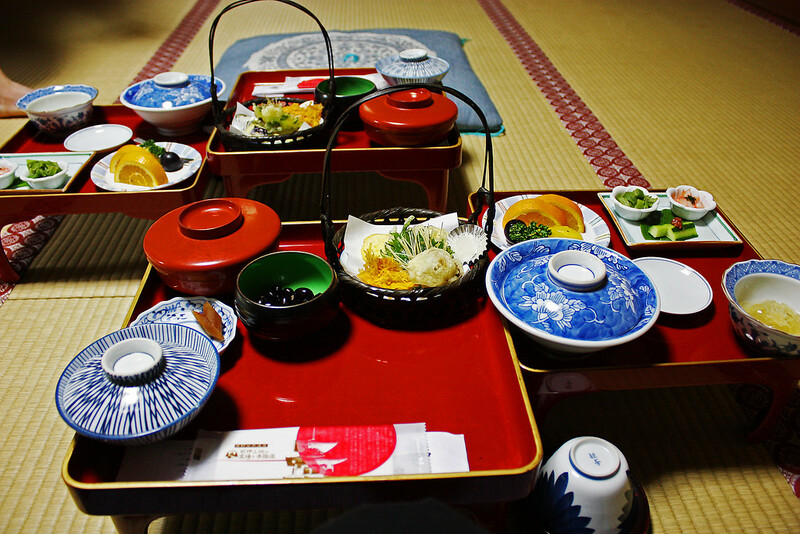 You can find it served in restaurants near Buddhist temples (we list two such places below). The following is a list of vegan and vegan-friendly restaurants in Kyoto. After our recommended restaurant section, we list some useful phrases for vegans in Japan. Choice is a completely vegan and gluten-free restaurant in the Northern Higashiyama district, a short walk from downtown. The fare is mostly Japanese but there are also things like pasta and curry. There’s an English menu and they’re quite used to foreign visitors. Right in the middle of downtown, this popular vegetarian and vegan eatery is a great spot for a casual lunch or dinner. The English menu lists dishes that are vegan or vegetarian. The lunch sets are good value here. This downtown tofu and yuba specialist serves delectable set meals at a very reasonable price. The fare is filling and nutritious. A short walk from Demachiyanagi Station, this falafel specialist is a great choice for vegan diners. The English menu and English-speaking staff make it easy to order here. While not strictly vegan, the staff at this famous Kyoto health-food restaurant is well aware of the concept of veganism and they can help you choose menu items that do not contain animal products. The food is home-style Japanese cuisine at its best. A short walk from Ginkaku-ji Temple, Omen is one of our favorite restaurants in Kyoto. They serve some of Kyoto’s best udon noodles. The noodle broth has bonito flakes in it, but several of their a la carte dishes are pure vegan. The salads here are fantastic. Yodofu Sagano is a great place to try that great Arashiyama Buddhist specialty: yudo (chunks of tofu simmered in broth). Inside the grounds of Tenryu-ji Temple, Shigetsu is a great place to try traditional Japanese Buddhist cuisines, known as shojin-ryori. Yoshuji is the best place to eat in Kurama, full stop. You can order simple noodle dishes or splash out for their delicious shojin-ryori sets. Watashi wa kanzen saishoku shugi desu. I do not eat soup stock made from fish. Watashi wa sakana no dashi o tabemasen. For information on gluten-free dining in Kyoto (and the rest of Japan), visit our Gluten-Free Kyoto page. 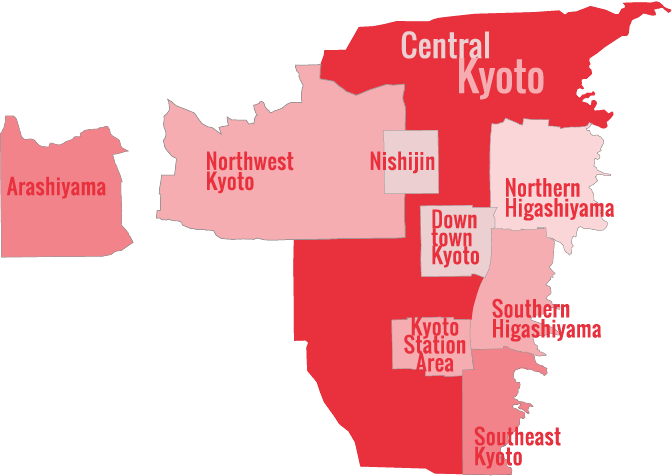 For information on vegetarian restaurants in Kyoto, visit our Kyoto’s Best Vegetarian Restaurants page.